The Last Picture Show | Hey nerds! I’ll be bringing you news of 2014’s San Diego Comic-Con later this week, following its weekend wrap-up today. Announced at the start of the annual event, which attracts an ever-increasing geek pilgrimage year on year, a movie version of 2013’s ‘Game of the Year’ will be written by the game’s original scripter, potentially star Maisie Williams (Arya Stark herself!) as heroine Ellie, and – most notable for fans of cult movies and gore – will be produced by ‘Spiderman’ and ‘Evil Dead’ helmer, Sam Raimi. Could this be the turnaround video games have been waiting for when it comes to game-to-screen updates? 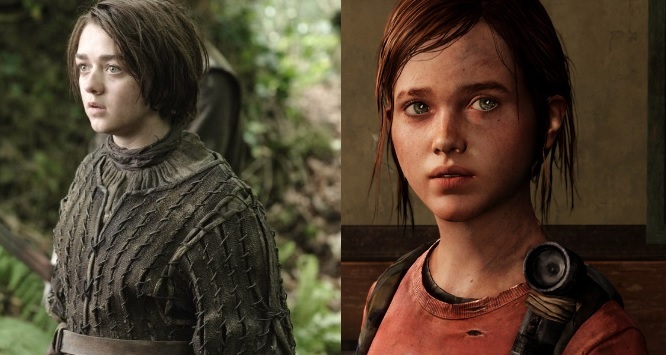 Sure, it would be nice if the original voice cast could translate to the movie, but the difference in age unfortunately means Ashley Johnson won’t work out as a teen Ellie in Hollywoodland. Still, the credibility suggested by the CC announcement is enough to get fans tensed up for the nerve-jangling human vs fungus-people zombie apocalypse – even if it’s not out for another couple of years! Pingback: Post-Comic Con Recon | Hey nerds!